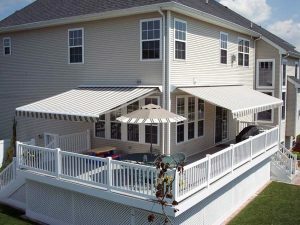 As one of the leading awning companies in New Jersey we get asked quite frequently – “What type of awning should I buy?”. Well to be honest that answer depends on 2 things – the budget and the features you are looking for. 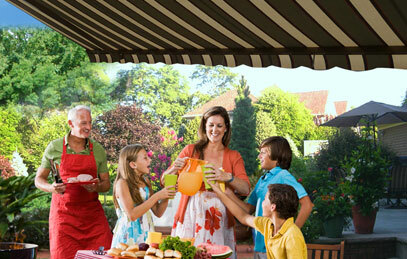 Our Awnings are installed to offer shade and your outdoor area a more comfortable – hospitable environment. They’re typically installed over a window, door or patio. Installing an awning is a smart add-on to any outdoor space, and one that will definitely increase the use of your patio area. While it isn’t very difficult to install an awning, we recommend hiring a reputable professional like The Awning Warehouse so that your installation goes absolutely perfect. We’ll also be able to recommend the best option for your home and the desired features you are looking for. Our awning installations are performed quickly and professionally. Why Not Buy A Traditional Awning? Awnings usually come in either canvas or metal. Canvas awnings are typically cheaper because the material is affordable. Canvas is also a popular option many awning buyers seem to gravitate to. These two options offer come in lots of different shapes, sizes, colors and patterns. However, if you live in New York or New Jersey, you already know that our area is typically going to experience harsh weather conditions like rain and snow. These traditional awnings may not be able to withstand all that weight. The cost to install an awning made out of metal won’t be much different from canvas, but they are extremely strong. The downside is that there will be less customization with the looks of a metal awning and as they wear through the years they can look pretty unsightly after a while. A Retractable Awning is preferred by many because they can be rolled or folded up. Your awning can also be automatic, meaning it would be motorized. Sensors can also be added in the awning that will determine if it needs to be pulled back based on the weather conditions. Motorized awnings are extremely popular, but come with a higher price tag than a traditional awning. With that said, if you live in an area with inclement weather, then these features will definitely extend the life of your awning. A retractable awning can pay for itself over time, but you need to decide for yourself whether or not it’s worth the initial investment. There are a lot of different types of awnings out there. The cost to install an awning would be more for a full patio than for a window or door. The bigger area you hope to cover with your awning, then the more the project will cost. Overall, we’re looking to provide you with the best value and when it comes to New Jersey Awning Companies the price you are quoted can vary dramatically from company to company. 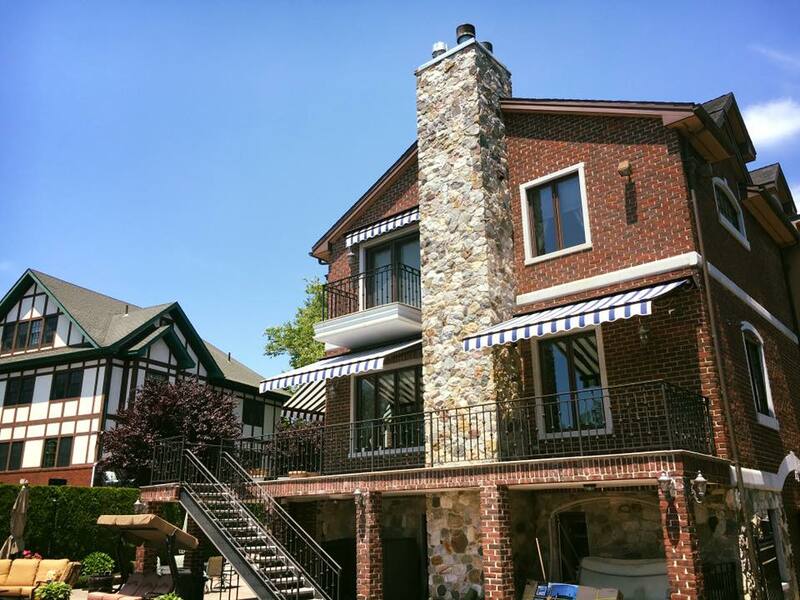 Many NJ Awning installers only specialize in traditional awnings so their price in comparison to ours is typically much higher because it is a specialty job to them as opposed to something they do every single day. Just make sure to talk to at least three professionals to ensure you find someone that you trust and who can help you design the best awning for your home.